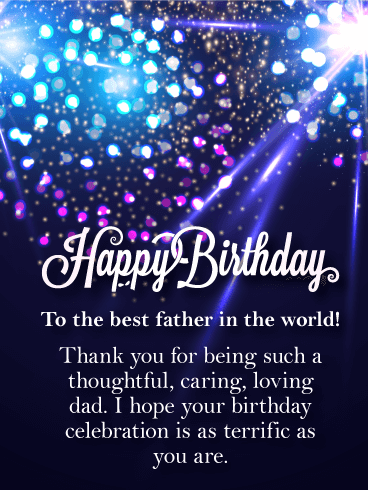 Happy Birthday - To my awesome father that I love dearly, you have spent so much time taking care of others throughout your life. 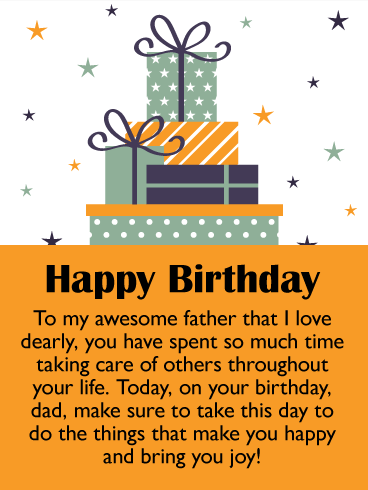 Today, on your birthday, dad, make sure to take this day to do the things that make you happy and bring you joy! 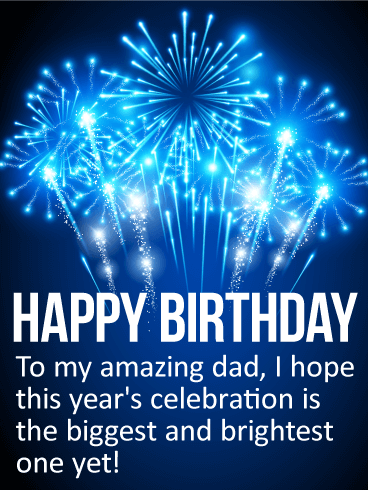 From the very beginning, you've looked up to your dad for so many reasons. 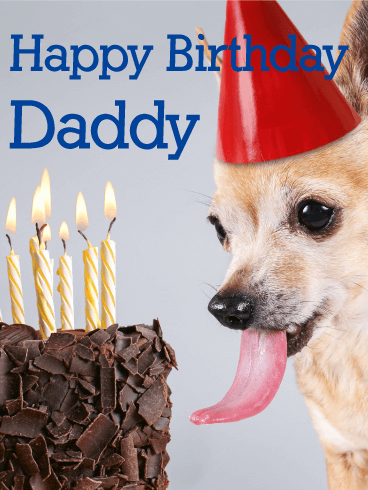 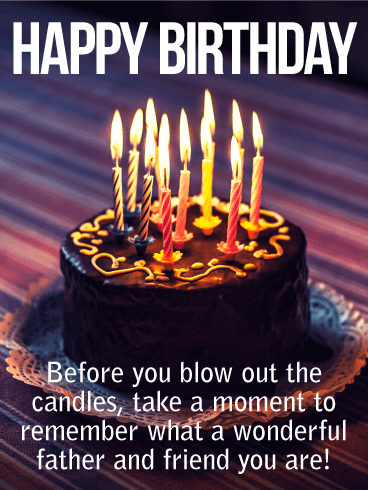 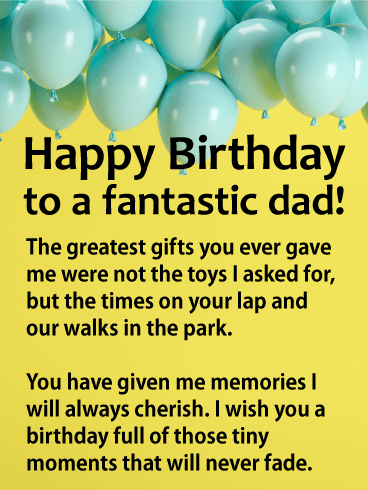 As he celebrates another birthday, take the opportunity to remind him that even though you may be grown, maybe even with kids of your own, you have some big shoes to fill! 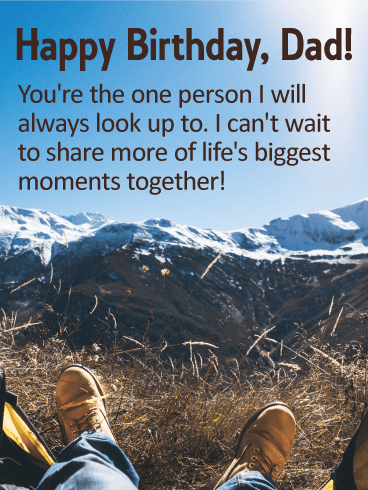 And whatever big moments lie in the year ahead, you want to share them with the man who means the world to you. 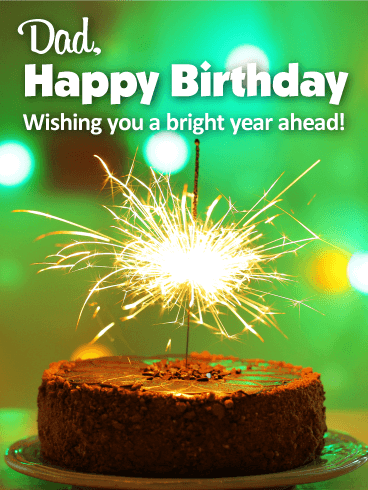 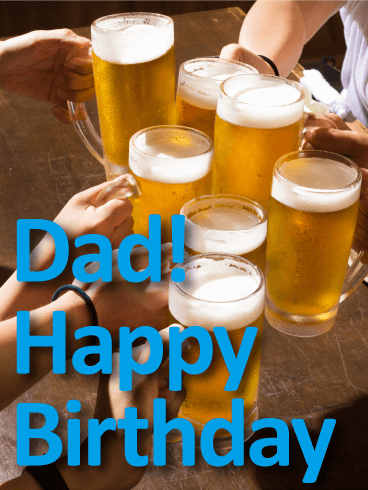 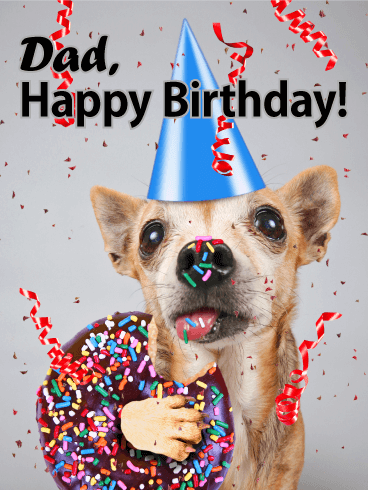 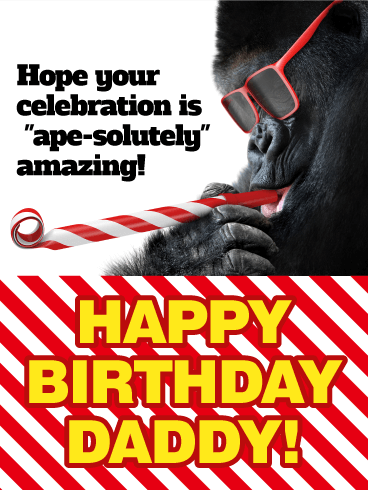 Uncork your very best wishes for a wonderful dad with this special birthday card. 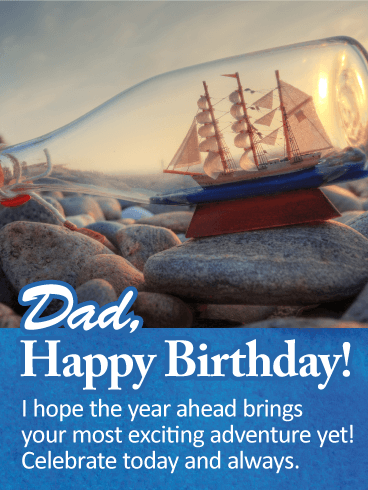 The image of a ship in a bottle surrounded by the ocean at sunset is a call for him to cut loose and set sail on his "most exciting adventure yet!" 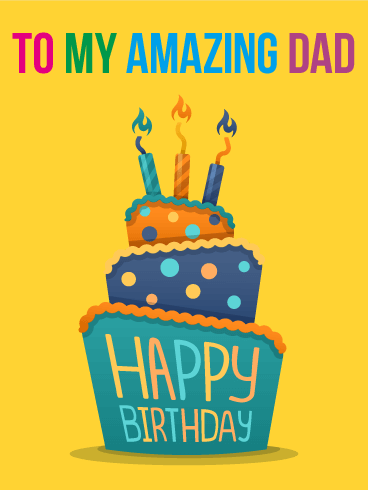 Wherever the next year takes him, he'll know he's starting off on the right path as he celebrates his big day feeling the love and support of his biggest fan...you!